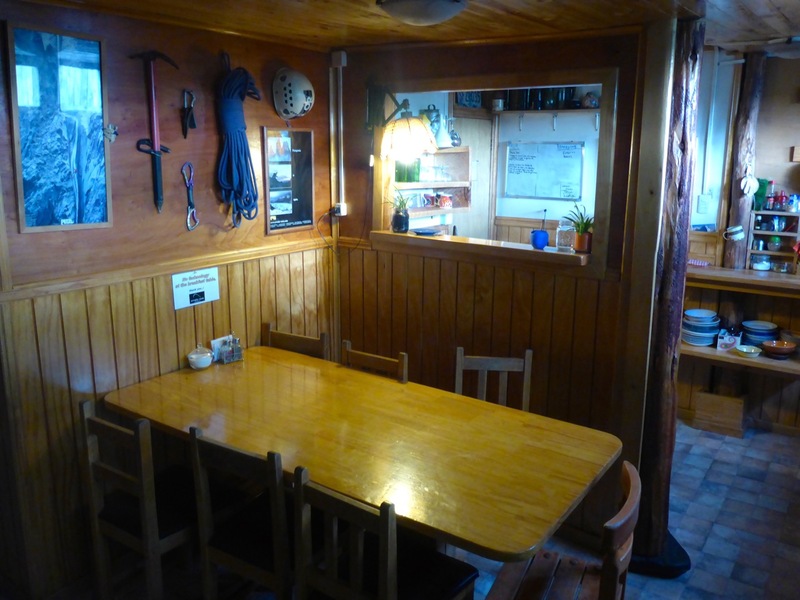 This is the first time we’ve been compelled to write an entire blog post specifically about a hostel. No place on our current trip has felt more like a home and been harder to leave than Erratic Rock. The vast majority of people that stay at Erratic Rock use it as a base camp for their adventures in Torres del Paine National Park spending a night before and a night or two after at the hostel, which will store a bag for you for free while you’re in the park. That was our plan as well, spend 2 nights to get our selves organized for our trek spend a night when we get back and be on our way. The words of a guy we meet in Pokhara at the very beginning of our trip came echoing back into my head, “Don’t get sucked in!” he had been in Pokhara for nearly on 2 months. I could feel the magnetic pull, like a black hole, sitting at the breakfast table in Erratic Rock. So yeah… we got sucked in. 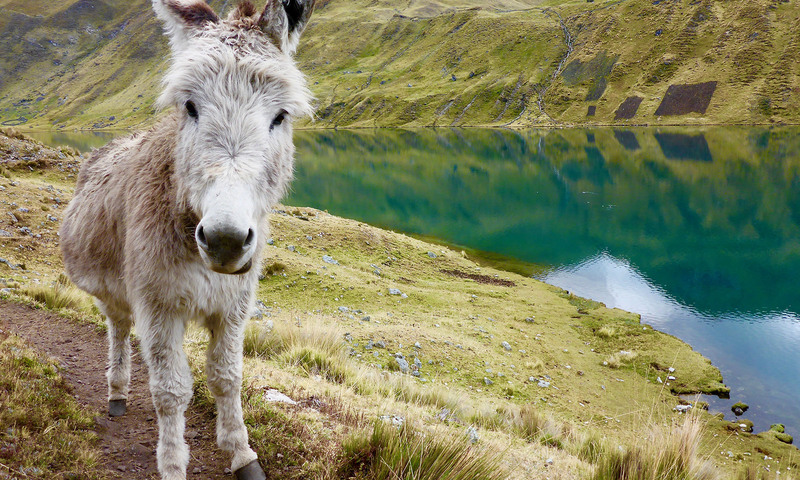 We spent two nights before our trek and then almost two weeks afterwards, as we couldn’t bring our selves to buy a bus ticket out of town. And we’re so glad we stayed as long as we did. We felt like such a part of the family, and we’ve got memories to last a lifetime: Watching Veronica draw mandalas; Bruce yelling, “You two are still here?” pretty much every day then pulling out one of his awesome maps to show us where we should go next; Having a number of people we talked to before their trek come back and tell us how awesome the park was; Liz cooking more meals in the same kitchen than she has since we left Dallas, and getting to cook for a dinner party or two; Celebrating Paul’s birthday at Base Camp with the locals and a Chilean reggae-ska-punk, band that didn’t start playing until 1am and a party that didn’t wind down until well after 6am; Bill regularly offering us jobs between random goodhearted monologues on Politics, Philosophy, Religion, Street Dogs and more; Kit telling us how much he’s becoming like his mother as he make us omelets; just sitting with new friends getting sucked down the YouTube rabbit hole of SNL clips; and having people in El Chaltén know our names from Erratic Rock though we’d never made formal introductions. These are the memories we’ll take with us until we make it back. So how did we get there? Erratic Rock came highly recommended online but after a little research we found they were going back to their hostel roots for the 2014-2015 season and not taking reservations unless you’d stayed their before. First come, first serve. We figured we’d try their first and if they were full find somewhere else. 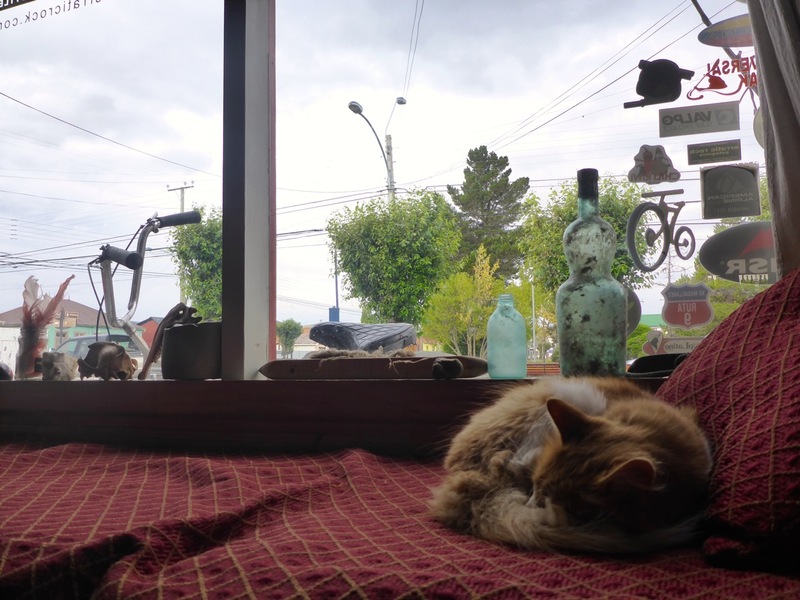 Luckily we made friends with three other people waiting for the bus to Puerto Natales from El Calafate and one of them, Matt, had a friend who had stayed at Erratic Rock previously and had made a reservation for him, We figured we’d try and ride those coattails in as well. We were in luck as the 5 of us got the last 5 beds for the night. 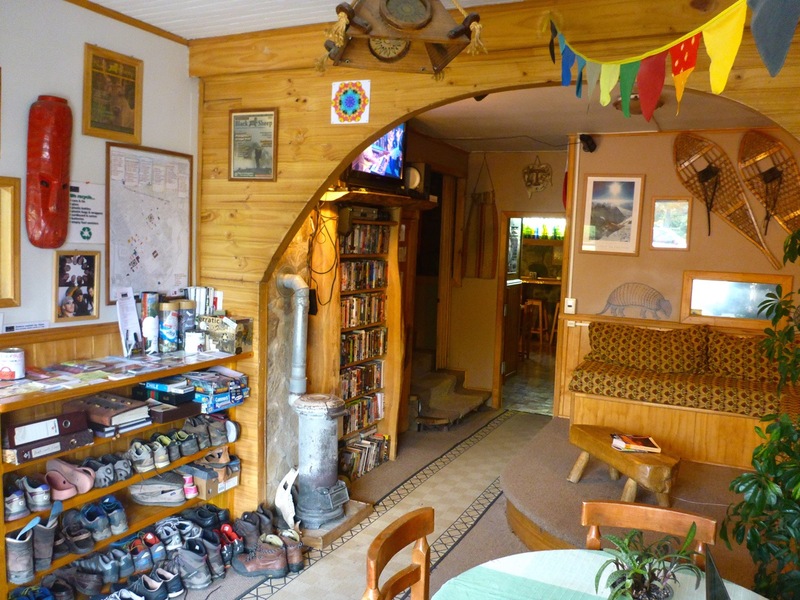 A wood burning stove that had been converted to gas warmed the kitchen and similar stove warmed the living room which also housed the largest collection of VHS tapes in the southern hemisphere (as well as Netflix and Apple TV if you want something produced after 1998). A couple of cats that were or were not allowed inside depending on who you asked sat curled up on a couch and a jovial but straightforward guy from Portland, Oregon, Bill, ran the whole show; which often felt a little like a 3 ring circus with all the different characters playing their parts right on queue. 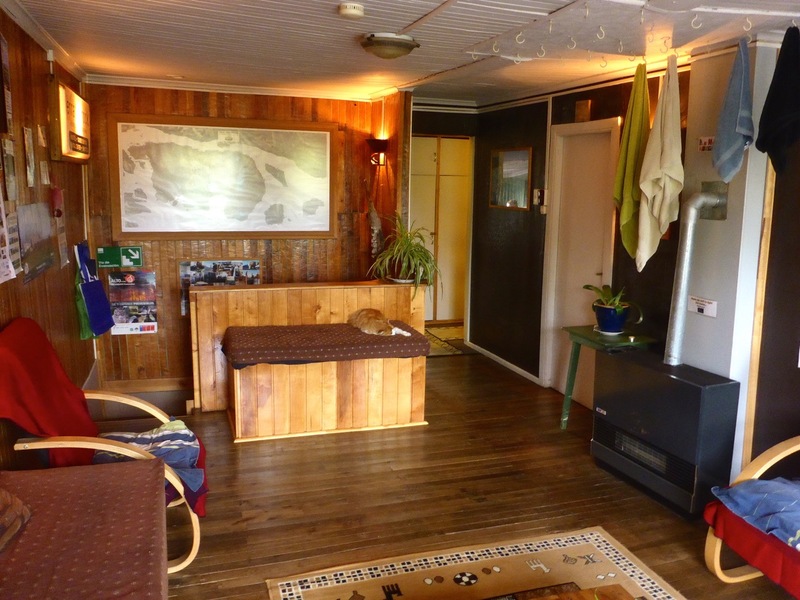 There’s no hard sell at Erratic Rock, take a look at the room and if you want to stay great, if not no worries. Breakfast is included and is nothing short of wonderful, that is if you like omelets, homemade bread, their proprietary blend of cereal and what feels like a never-ending supply of yogurt. There is hot REAL coffee (or Nescafe if you’re into that) and there is almost always a mate going somewhere in the house at any given moment. Paying for anything that wasn’t included as part of your stay, like keeping one of the homemade recycled tent shopping bags or breakfast when you didn’t actually stay there that night, was handled by a donation the one of their non-profit causes via the tin cans up front. 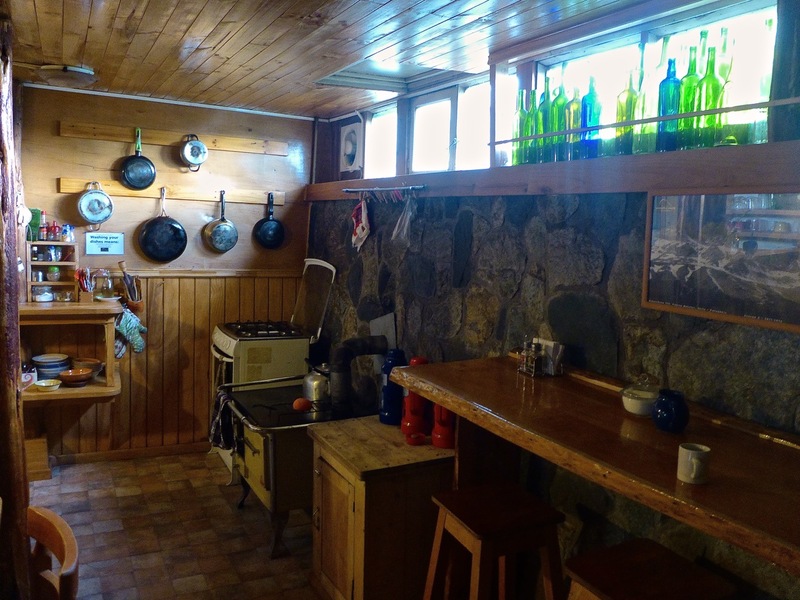 There is no hiding the slight hippie vibe of the hostel, highlighted by the bins for every type of recycling and compost imaginable and you can borrow some of their homemade shopping bags made from old tents to run to the store. And if you like the bags, which we did, you can buy one, which we did, for a donation to one of their causes, of course. Zip-lock bags are washed, dried, re-used and traded like rations during war. 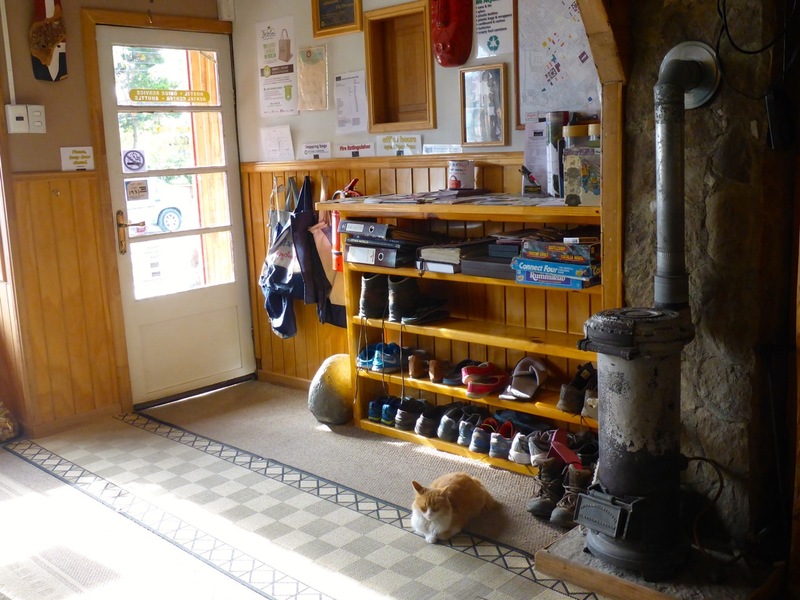 And luckily, there is the occasional incense stick used to dull the smell of stinky hiking boots drying by the stove. It’s a haven for big wall and rock-climbers of all types, who are happy to share their knowledge of where to camp or what to do when you’re go to insert your next destination. We also learned, climbers are better than most weathermen when it comes to predicting the weather. I guess when you’re hanging on the side of a cliff by a rope it pays to know what the clouds mean and what the wind is doing. Erratic Rock is probably best known for “The 3’o’clock info talk” at Base Camp next door to the hostel. 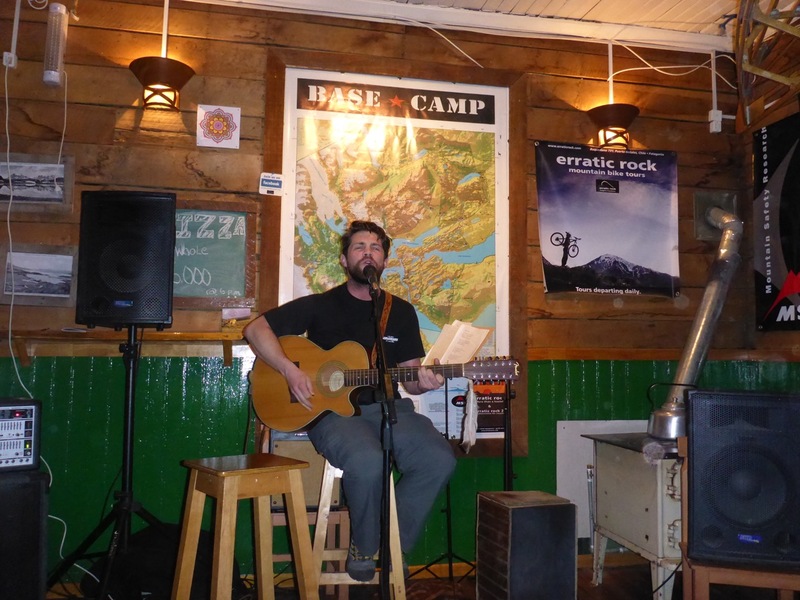 Bill’s brother Paul runs Base Camp and they rent everything you need for a trek into the park as well as serving delicious pizza, beer and wine and hosting the occasional concert. As we’ve mentioned before “The Talk” is awesome and totally worth the time if it’s you’re first time visiting the park. 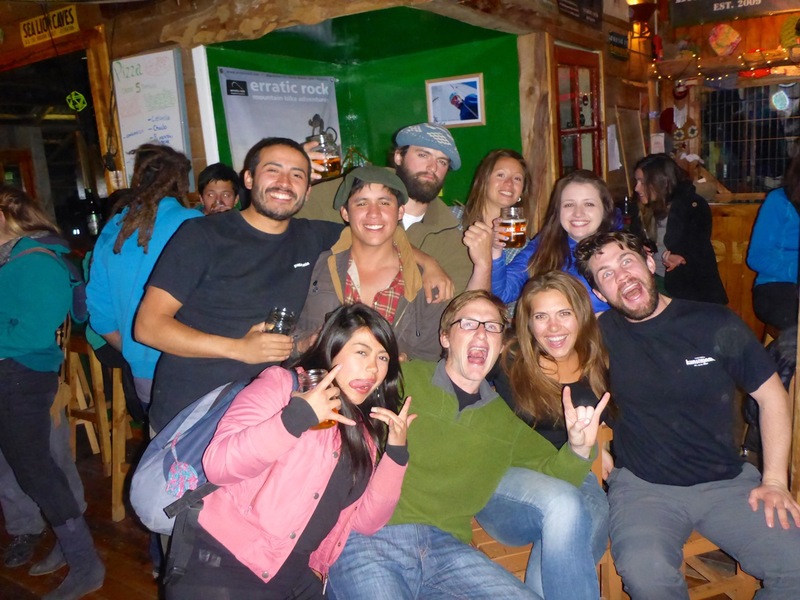 So, if you’re ever in Puerto Natales swing by Erratic Rock, tell Bill we sent you, and make some memories of your own!